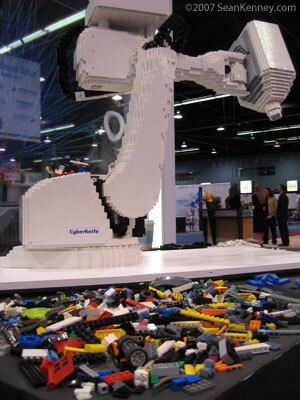 Sean was asked to build a sculpture of a medical robot by Accuray Inc. 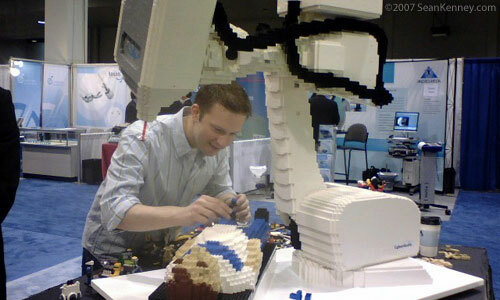 While the real robot has six degees of sub-millimeter movement and is controlled by supercomputers, Sean's LEGO sculpture can stand still and look pretty. 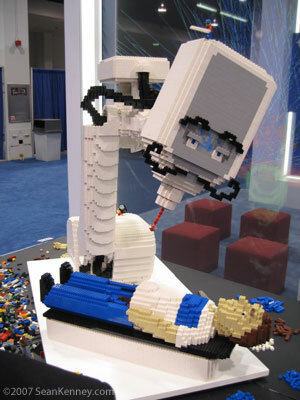 adding a LEGO patient and doctor to the scene. 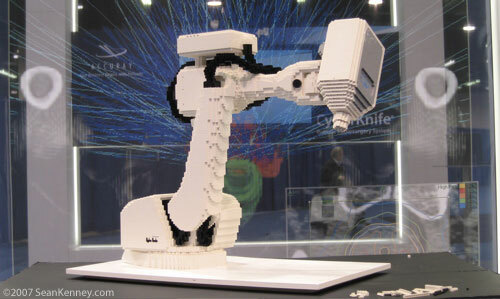 Sean also offered design modifications that are being considered for the real robot. 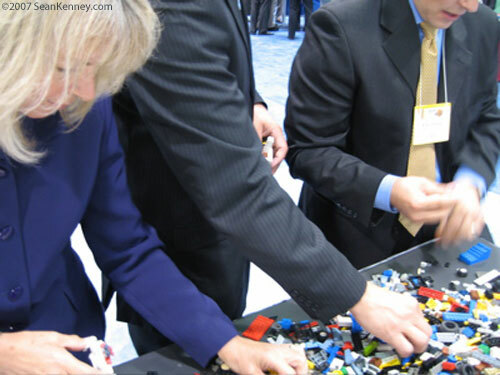 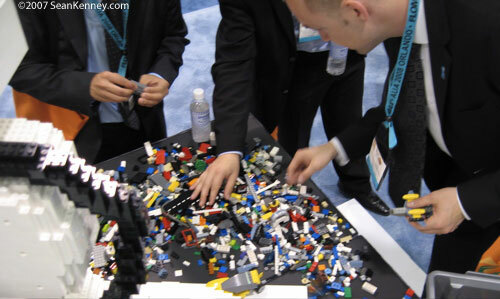 Over the course of three days, big kids in business suits got to play with LEGO bricks and create their own fun and silly models. 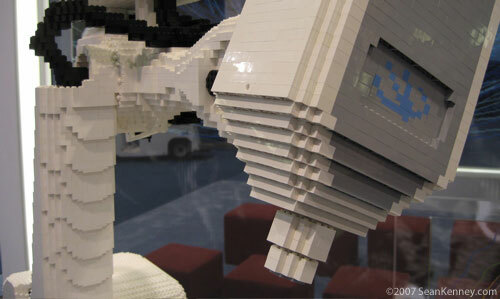 and a spikey off-roader driven by an anime viking. 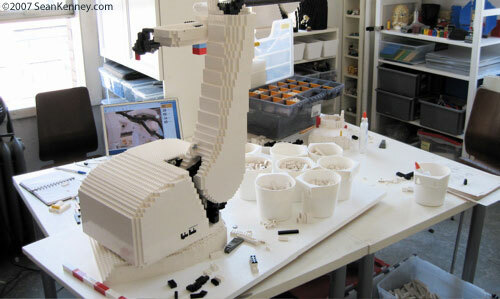 Under contsruction in Sean's studio, the 3-foot tall LEGO sculpture took about 3 weeks and 8,500 LEGO bricks to create. 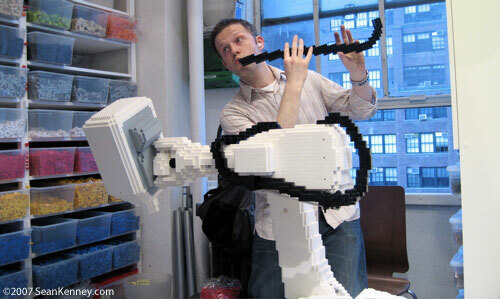 Accuray employees were surprised to learn that medical robots can be used as musical instruments! 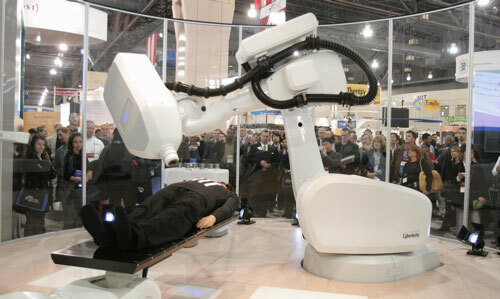 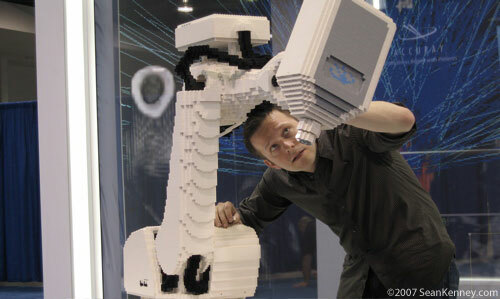 The real robot is about 9 feet tall and zaps tumors.